Last name is pronounced "urr-SHEL-lah"… has a son, Thiago. Began the year on the Cleveland disabled list with a right hamstring strain from 3/29 (retro 3/26) to 5/4… played in 11 rehab games with Triple-A Columbus and hit .324 (12-for-37) with 6R, 4 doubles, 7RBI and 5BB… was reinstated from the 10-day D.L. on 5/4 and designated for assignment… was traded to the Blue Jays on 5/9… appeared in 19 games for Toronto, hitting .233 (10-for-43) with 7R, 1 double, 1HR and 3RBI… scored a career-high 3R on 6/10 vs. Baltimore… was designated for assignment on 6/26 and outrighted to Triple-A Buffalo on 7/3… hit .244 (21-for-86) with 7R, 3 doubles, 5RBI and 4BB in 24 games with Buffalo… was acquired by the Yankees on 8/4… finished the season with Triple-A Scranton/Wilkes-Barre, batting .307 (31-for-101) with 14R, 7 doubles, 2 triples, 2HR and 12RBI in 27 games… hit .382/.475/.588 (13-for-34) with 5R, 4 doubles, 1HR, 3RBI and 5BB in nine playoff games for the RailRiders… following the season, batted .229 (22-for-96) with 11R, 9 doubles, 1HR, 10RBI and 4BB in 26 games for the Tigres del Licey of the Dominican Winter League. Split the season between AAA Columbus and Cleveland, providing a very solid defense at third base and shortstop while showing improvement at the plate...Was also a late-inning, solid defensive option for Terry Francona...Was with the Indians on June 17 (started night game of doubleheader at Minnesota) and the entire second half starting on July 9 when Jason Kipnis went on the disabled list with a hamstring injury...At Columbus, batted .266 (79/297) with 12 doubles, 6 home runs and 34 RBI in 76 games (.321/.374/.695), appearing in 60 games at third base and 16 games at shortstop for the Clippers...Hit .307 (35/114) in May with 3 2B, 3 HR & 10 RBI in 29 games...Batted .278 (40/144) with runners on base at Triple-A. Overall appeared in 60 games at third base (36 starts) , 5 games at shortstop (1 start) and made 3 starts at second base in September (also 2 games at first base)...First career defensive appearance at short and second base in his Major League career...Reached base safely in 13 of his last 18 starts with Cleveland...From August 24-end of the season he batted .260 (19/73) with 5 2B, 1 HR and 12 RBI over his final 35 games...Drove in a single-game career-high 4 runs on August 24 vs. Boston...Recorded a .959 fielding pct. at third base (4E, 98TC)...Hit .273 (15/55) with runners on base and .304 (7/23) with runner-on and 2 outs...Hit first home run since Sept. 14, 2015 on Sept. 22 at Seattle (Erasmo Ramirez)...Appeared at all four infield positions... Pronounced /urr-SHEL-lah/. Spent the entire season with the Triple-A Columbus Clippers...Hit .274 on the year, but with only 15 walks posted a season on-base pct. of .294...Did not walk over 56 straight games from June 12-August 14...Hit in 21-straight games from July 7-August 8 and was named International League Player of the Week, August 1-7 (14-for-28, 2 HR, 12 RBI)... Also IL named IL Player of the Week from April 25-May 1...Hit .327 (32-98) in August with 7 2B, 2 HR & 20 RBI in 26 games...Was on the Minor League DL from May 12-24 with a strained right hamstring...Was tied for 10th in the Int'l League with 128 hits...Batted .313 (5-16) with 2 2B and 2 RBI in the International League playoffs (4 games)...Hit a pair of solo homers on July 20 vs. Louisville...Batted .282 (29-103) off left-handed pitching, but did not homer off a lefty all season...Hit .271 (99-365) off RHP with 20 2B, 8 HR & 46 RBI...Hit .323 (60-186) with 13 2B, 1 3B, 4 HR & 30 RBI in 46 games in the second half to conclude the season...Hit .309 (64-207) with runners on base for the year and .307 (42-137) with RISP...Made only 9 errors in 104 games at third base for a season fielding pct. of .970 (300TC)...Also appeared in 5 games at shortstop... After the season batted .337 (57-169) with 16 2B, 3 HR & 33 RBI (23 runs) in a strong winter ball performance for Aguilas del Zulia in the Venezuelan Winter League (.352/.485/.837)...Was T-1st in the league in doubles and 6th in average. Spent the last four months of the season at the Major League level, his first taste of big league action after June 9th recall from AAA Columbus...Started the season on the Triple-A disabled list with lower back inflammation after not appearing in an exhibition game all spring with back issues...Season began on April 23, batting .272 (22-81) with 5 doubles, 1 triple, 3 home runs and 9 RBI in 22 games (.298/.469/.767)...Was on the Columbus DL with lower back inflammation from May 6-20...Made his Major League debut on June 9 vs. Seattle and collected his first hit (Tom Wilhelmsen) and first home run (Vidal Nuno) on June 11 vs. Seattle (2-4, 2R, HR, 2RBI)...Collected a career-high 3 hits on August 4 at LA Angels and connected for a game-winning home run in the 12th inning of that 2-0 win...Hit in a season/career-high 13 straight games, June 20-July 4, and reached base safely via hit or walk in 21 straight games from June 11-July 4...The 13-game hitting streak was the second-longest by an Indians batter in 2015 (also hit in 9 straight games, July 21-30)...Batted .253 (25-99) with 10 runs, 2 doubles, 2 home runs and 7 RBI in 31 first half games before hitting .208 (35-for-168) in the 2nd half with 6 2B, one 3B, 4 HR and 14 RBI in 50 games...Was bothered by right shoulder soreness over much of the second half and did not play from Sept. 18-30...From July 31 thru the end of the season he batted .186 (24-for-129) in 38 games...Was very good defensively at third base, making 76 starts (80 games) at the hot corner while recording a fielding pct. of .969 (192 TC, 6 E)...Finished with a UZR of 4.1, 5th-highest among A.L. third basemen (min. 600 innings)...Batted .223 (25-for-112) with runners on base and .185 (12-for-65) with RISP. Sp ent most of the season at AAA Columbus after starting the year at AA Akron, hitting a combined .280 (136-485) with 36 doubles, 6 triples, 18 home runs, 84 RBI and 78 runs scored between the two affiliates on his way to winning the club Minor League player of the year award ... Promoted to Columbus on May 2...On the season, Urshela ranked 2nd in the Indians organization in RBI (84), 1st in runs (78), 3rd in hits (136) and 4th in home runs (18) ... Compiled a .977 fielding pct. at Columbus (5E, 220TC, 17DP)...Over his last 79 games with Columbus he batted .293 (88-300) with 52 runs, 22 2B, 5 3B, 10 HR and 51 RBI...Combined on the year he hit .315 (46-146) with runners in scoring position ... Added to the 40-man roster on November 20...Named an organizational all-star by MILB.com. Spent most of the season at AAA Columbus after starting the year at AA Akron, hitting a combined .280 (136-485) with 36 doubles, 6 triples, 18 home runs, 84 RBI and 78 runs scored between the two affiliates on his way to winning the club Minor League player of the year award...P romoted to Columbus on May 2...On the season, Urshela ranked 2nd in the Indians organization in RBI (84), 1st in runs (78), 3rd in hits (136) and 4th in home runs (18)...Compiled a .977 fielding pct. at Columbus (5E, 220TC, 17DP)...Over his last 79 games with Columbus he batted .293 (88-300) with 52 runs, 22 2B, 5 3B, 10 HR and 51 RBI...Combined on the year he hit .315 (46-146) with runners in scoring position ... Added to the 40-man roster on November 20...Named an organizational all-star by MILB.com. Spent entire season at AA Akron where he was tabbed Indians Minor League Player of the Week two weeks into the year, hitting .333 (10-30) with 4 doubles, a home run and 7 RBI throughout the week of 4/15-22. Named Indians Minor League Player of the Week and Carolina League Batter of the Week for 8/ 6-13...Following the season, was rated as having the Best Infield Arm in the organization in Baseball America's Best Tools Survey. Ranked 4th in the Midwest League in at-bats (505). April 6, 2019 New York Yankees selected the contract of 3B Gio Urshela from Scranton/Wilkes-Barre RailRiders. February 1, 2019 New York Yankees invited non-roster 3B Gio Urshela to spring training. December 11, 2018 Tigres del Licey placed 3B Gio Urshela on the reserve list. October 30, 2018 3B Gio Urshela assigned to Tigres del Licey. August 4, 2018 Toronto Blue Jays traded 3B Gio Urshela to New York Yankees. August 4, 2018 3B Gio Urshela assigned to Scranton/Wilkes-Barre RailRiders. July 3, 2018 Toronto Blue Jays sent 3B Gio Urshela outright to Buffalo Bisons. June 26, 2018 Toronto Blue Jays designated Gio Urshela for assignment. May 12, 2018 Toronto Blue Jays activated 3B Gio Urshela. May 9, 2018 Cleveland Indians traded 3B Gio Urshela to Toronto Blue Jays for Player To Be Named Later. May 4, 2018 Cleveland Indians designated 3B Gio Urshela for assignment. May 4, 2018 Cleveland Indians activated 3B Gio Urshela from the 10-day disabled list. April 13, 2018 Cleveland Indians sent 3B Gio Urshela on a rehab assignment to Columbus Clippers. March 29, 2018 Cleveland Indians placed 3B Gio Urshela on the 10-day disabled list retroactive to March 26, 2018. Right hamstring strain. July 9, 2017 Cleveland Indians recalled 3B Gio Urshela from Columbus Clippers. June 18, 2017 Cleveland Indians optioned 3B Giovanny Urshela to Columbus Clippers. June 17, 2017 Cleveland Indians recalled Giovanny Urshela from Columbus Clippers. March 30, 2017 Cleveland Indians optioned 3B Giovanny Urshela to Columbus Clippers. November 3, 2016 Giovanny Urshela roster status changed by Cleveland Indians. October 6, 2016 Cleveland Indians reassigned 3B Giovanny Urshela to the minor leagues. October 3, 2016 Cleveland Indians recalled 3B Giovanny Urshela from Columbus Clippers. September 25, 2016 3B Giovanny Urshela assigned to Aguilas del Zulia. September 25, 2016 Aguilas del Zulia activated 3B Giovanny Urshela. May 25, 2016 Columbus Clippers activated 3B Giovanny Urshela from the 7-day disabled list. May 12, 2016 Columbus Clippers placed 3B Giovanny Urshela on the 7-day disabled list. March 26, 2016 Cleveland Indians optioned 3B Giovanny Urshela to Columbus Clippers. June 9, 2015 Cleveland Indians recalled Giovanny Urshela from Columbus Clippers. May 21, 2015 Columbus Clippers activated 3B Giovanny Urshela from the 7-day disabled list. April 23, 2015 Columbus Clippers activated 3B Giovanny Urshela from the 7-day disabled list. March 17, 2015 Cleveland Indians optioned 3B Giovanny Urshela to Columbus Clippers. November 20, 2014 Cleveland Indians selected the contract of Giovanny Urshela from Columbus Clippers. October 9, 2014 3B Giovanny Urshela assigned to Aguilas del Zulia. May 3, 2014 3B Giovanny Urshela assigned to Columbus Clippers from Akron RubberDucks. March 11, 2014 3B Giovanny Urshela assigned to Cleveland Indians. March 31, 2013 3B Giovanny Urshela assigned to Akron Aeros from Carolina Mudcats. February 24, 2013 3B Giovanny Urshela assigned to Cleveland Indians. 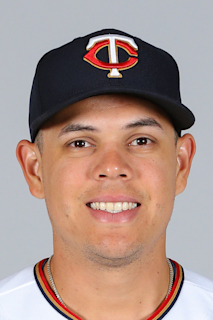 May 21, 2012 Giovanny Urshela roster status changed by Carolina Mudcats. May 4, 2012 Carolina Mudcats placed 3B Giovanny Urshela on the 7-day disabled list. April 2, 2012 3B Giovanny Urshela assigned to Carolina Mudcats from Lake County Captains. April 4, 2011 Giovanny Urshela assigned to Lake County Captains from Mahoning Valley Scrappers. June 17, 2010 Giovanny Urshela assigned to Mahoning Valley Scrappers from AZL Indians. July 11, 2009 Giovanny Urshela assigned to AZL Indians from DSL Indians. July 3, 2009 Giovanny Urshela roster status changed by AZL Indians. May 29, 2009 DSL Indians signed Giovanny Urshela.